The Integrated Strength and Conditioning Coach (iSCC) Mentorship is designed for individuals already coaching but wish to advance their knowledge and career opportunities in the field of Strength and Conditioning for high performance sport. The iSCC mentorship utilises all of the advanced workshops, certificates, knowledge, decision making and coaching skills from our successful iSCC certificate and combines this with a dedicated personal mentor. Your personal mentor will work with you to help facilitate your application of knowledge in to your current field of practice to ensure success. The Integrated Strength and Conditioning Coach Mentorship guides your application of the successful methodology used by Sport981 for athletes and clubs competing in the biggest sports events in the world. To date, the programme has been successful in advancing careers across both the Strength and conditioning, and Health and fitness industries. Both health and fitness, and strength and conditioning industries have expanded significantly in recent years. More coaches than ever are actively involved in supporting athletic preparation, or client goal attainment. To meet the growing number of inquiries received from athletes and coaches in the industry, we launched the Integrated Strength and Conditioning Coach Certification in 2004. 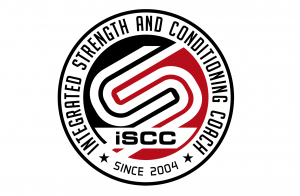 Derived from the highly successful Sport981 Integrated Strength and Conditioning Coach (iSCC) Certification, the iSCC mentorship format creates the ideal programme for those coaches and trainers who want to develop their knowledge, and apply the Sport981 winning methodology directly to their own athletes and clients. Mentored guidance from a Sport981 Integrated Strength and Conditioning Specialist, to ensure you are developing as a coach and applying information effectively to your athlete populations. Established career pathway – field tested, successful and recognised in the industry. Academic course content is set at University masters degree level and at every step of the way you will be guided by your tutors who are performance enhancement specialists, currently coaching in an applied context. Mentoring that enhances your ability to make positive changes with your athletes and clients. Personal and professional skills needed to advance your coaching career in the strength and conditioning and personal training industry. You will become competent in your observation skills, data interpretation, and understanding of the psychology of effective coaching. The programme content and learning syllabus is constantly evolving and developing to ensure Sport981 graduate coaches have the best opportunity to succeed in their chosen field. Fundamental to your development as a competent coach is regular face to face mentoring. The progression of interpersonal skills, decision making and application of coaching simply cannot be done effectively online. Integral to the application focused certification is the ability of coaches to use their new coaching skills with their existing athletes and clients. With a depth of experience in applying integrated strength and conditioning coaching across a broad spectrum of athletes and clients, your mentor will be on hand throughout your certification to ensure you have the best opportunity of putting your skills into practice. The syllabus allows continuity of development with tutors who can integrate all aspects of the programme. This facilitates a deeper level of discussion than could be attained through individual and segregated workshops. No short cuts – immersing yourself in the Sport981 methodology over the duration of the programme is required to learn and develop the necessary industry skills. Competency is a process, an evolution, and evolution takes time. The time required has been balanced against lifestyle needs and your commitments to your coaching career, your income and social needs. Our tutors are World Leading performance coaches who are at the forefront of developing individual athletes and teams from across the performance pathway. In addition to their coaching abilities, all course tutors have undergone a formal tutoring programme with Sport981 so they have the necessary skills to help the next generation of performance coaches. The iSCC mentorship utilises all of the advanced workshops, international certificates, knowledge, decision making and coaching skills from our successful iSCC certificate and combines this with a dedicated personal mentor. "I learnt more about physiological components, understanding movement and ways to improve dysfunctions and sports performance than during my degree. " "great knowledge gained to becoming an S&C pro "
"The mentoring you gain is invaluable. I felt fully prepared for all the exams and was extremely confident in my recent interview for a position "
"tutors are excellent, very knowledgeable and always willing to help. Brilliant course "